 Sister Sonic (シスターソニック) is a canceled localization of Popful Mail announced in late 1992. Originally the plan was to replace the existing cast of the game with Sonic characters, including Sonic's long lost sister, Sister Sonic. Due to a large number of angry letters sent to Sega Falcom (the name which would be used for the Sega and Falcom team) it was decided to cancel this port and instead settle on a more direct port of Popful Mail to the Mega-CD. Beep! MegaDrive (JP) #38: "November 1992"
Electronic Gaming Monthly (US) #59: "June 1994" Brief mention in a Popful Mail preview article. This page was last edited on 17 October 2018, at 16:53.